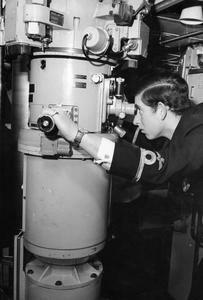 PRINCE CHARLES IN HMS CHURCHILL. 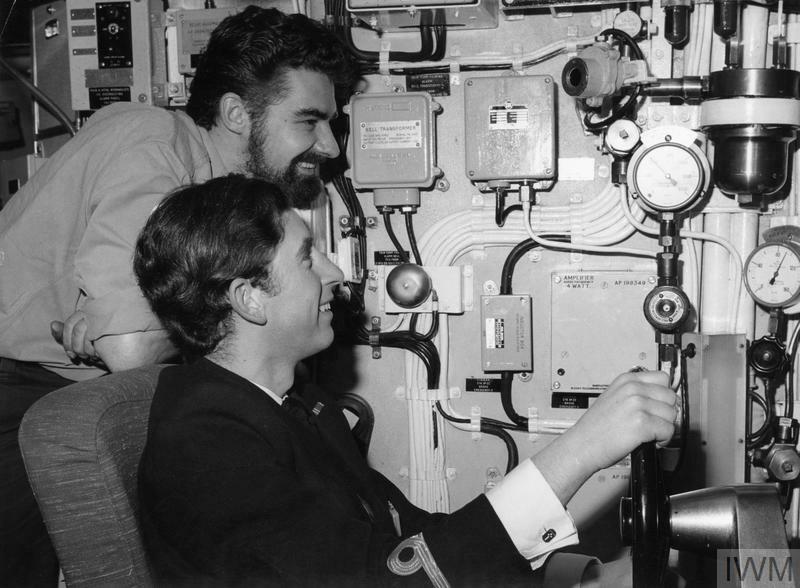 FEBRUARY 1972, ON BOARD THE NUCLEAR POWERED SUBMARINE HMS CHURCHILL OFF THE COAST OF SCOTLAND. 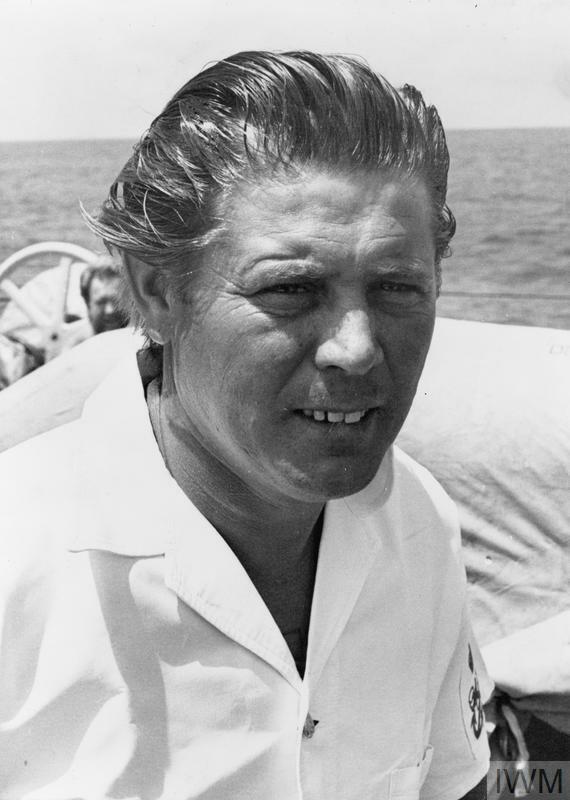 AS PART OF HIS ROUTINE TRAINING AS A SUB LIEUTENANT IN THE ROYAL NAVY, PRINCE CHARLES COMPLETED 24 HOURS AT SEA IN THE SUBMARINE. 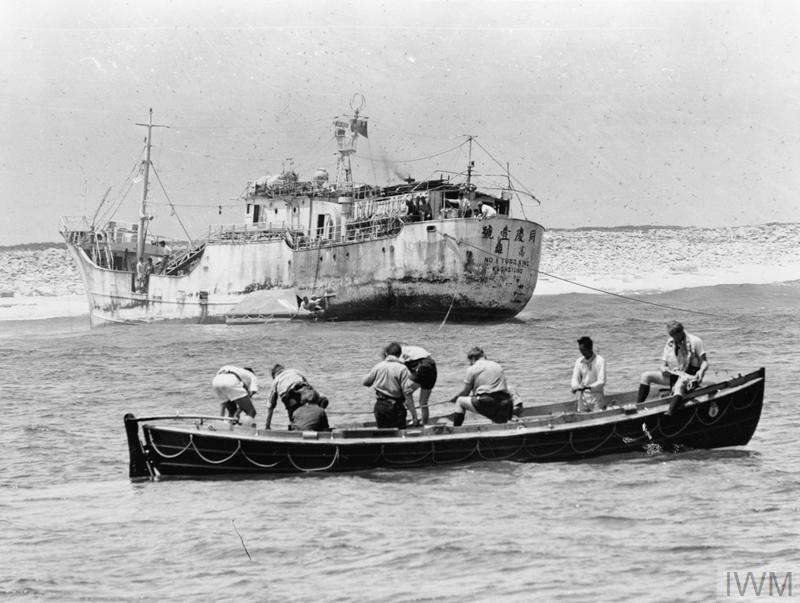 ACCOMPANIED BY TWO OTHER SUB LIEUTS HE TRANSFERRED FROM HMS HERMOINE AT CAMPLETOWN TO HMS CHURCHILL. 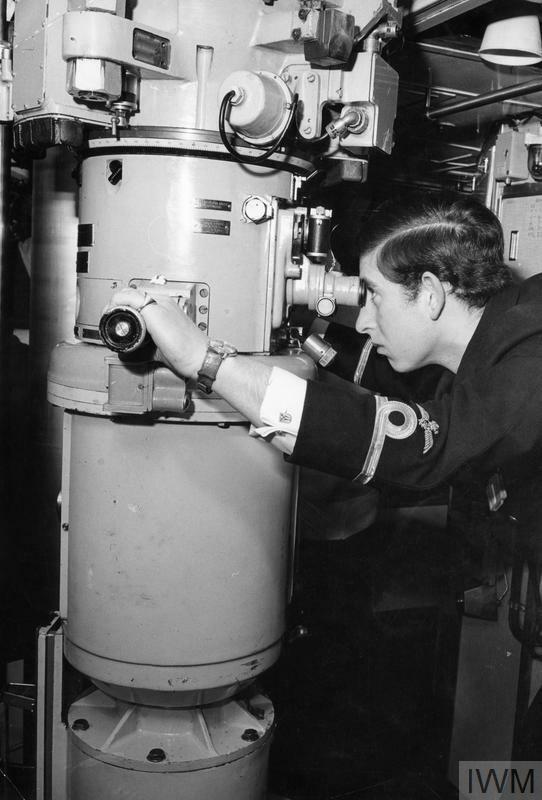 Prince Charles looking through one of the periscopes in HMS CHURCHILL.